As Australian house prices rise, every square metre becomes valuable real estate worth utilising. Technology driven products are becoming slimmer, smaller and less conspicuous, while adaptable furnishings transform room functionality, making good sense when space is limited. Kitchens are big winners when technology and tradition are combined, with the capacity to efficiently harness various energy sources to power built-in appliances. The ASKO CC4727S Concealed Rangehood fits conveniently into cupboard space above the cooktop, allowing the kitchen countertop style to flow without obstacles and irregularities, while still providing impressive extraction capabilities. What makes the ASKO CC4727S Concealed Rangehood a superior product? 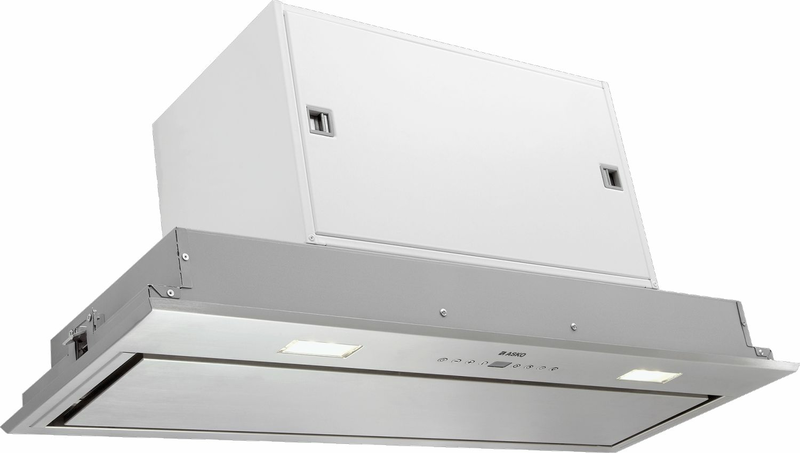 At 77 cm wide and 33 cm high, the ASKO CC4727S is a genuine concealed rangehood. Surfaces above the oven and cooktop are notoriously difficult to keep clean, resulting in a grease soaked wall and unappealing cooking environment, a situation that ASKO developers were determined to change. Custom design and high-quality materials mean ASKO products are integrated seamlessly into Australian kitchens, including the extraction hood which can be concealed to match existing cabinetry and other room features. Here are some more reasons to investigate the ASKO CC4727S Concealed Rangehood. How do ASKO undermount rangehoods stay cool and safe? All rangehoods incorporate an exhaust system, with vapours either vented outside or filtered, cleaned and returned to the kitchen. An undermount rangehood funnels a lot of heat, so ASKO use only highest-quality stainless steel and other metals, along with a hood and other components that satisfy stringent Australian safety standards. The LED digital display control panel provides high-definition guidance to chefs, including clean air functions and filter indicators to ensure the ASKO CC4727S Concealed Rangehood always functions energy efficiently. All major ASKO appliance components are constructed from fully recyclable materials wherever possible as an ASKO pledge to sustainable manufacturing. Are all kitchen odours removed by a concealed rangehood? Cooking is a sensory experience, and it wouldn’t be the same without tantalising aromas that stimulate appetite and encourage chefs. Shared meal times are still one of life’s greatest pleasures, and every stage of cooking should be enjoyed and appreciated, including the wafting scent of delicious foodstuffs being prepared. The CC4727S Rangehood doesn’t mess with tradition, instead only removing steam and evaporated oils from directly above the cooking surface. Although the splatter and splash of a dramatic seasoning or spicing is greatly reduced, mouth-watering aromas spread slower, with alluring scents a significant appeal in any ASKO style kitchen. Are concealed rangehoods effective compared to other rangehood types? Rangehood choice should be governed by kitchen layout and chef preferences. All ASKO rangehood types share utilitarian, functional and aesthetic appeal, while also providing the appropriate amount of extraction power for the job at hand. The ASKO range of kitchen appliances encompasses Australian cooking style in all its forms, in small and large homes where meal times are still important and individual culinary styles are encouraged. 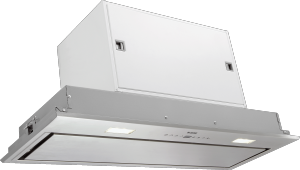 Concealed rangehoods can be powerful, yet function at a lower volume as the motor is concealed within solid metal housing. Concealed rangehoods are becoming common, as are compatible appliances that work in harmony, such as ASKO pyrolytic ovens, induction cooktops, Fusion Volcano wok burners and other progressive, intelligent appliances. ASKO products communicate with the user, even providing menu suggestions and preferred cook-settings, including Pro Series appliances specially designed for contemporary Australian living. Almost everything on the ASKO CC4727S Concealed Rangehood is adaptable and adjustable, including timer, light, fan and speed, all while humming along with minimal noisy distraction. In addition, the ASKO CC4727S will continue to clean and clear the air long after the party is over by using the clean air function that automatically runs the rangehood for ten minutes every hour for up to 24 hours. ASKO innovators are solutions experts that think outside and inside the box, and the CC4727S Concealed Rangehood is the best of both approaches to contemporary kitchen style.